Welcome to the Character Shop. Take home a souvenir of your visit to the park. 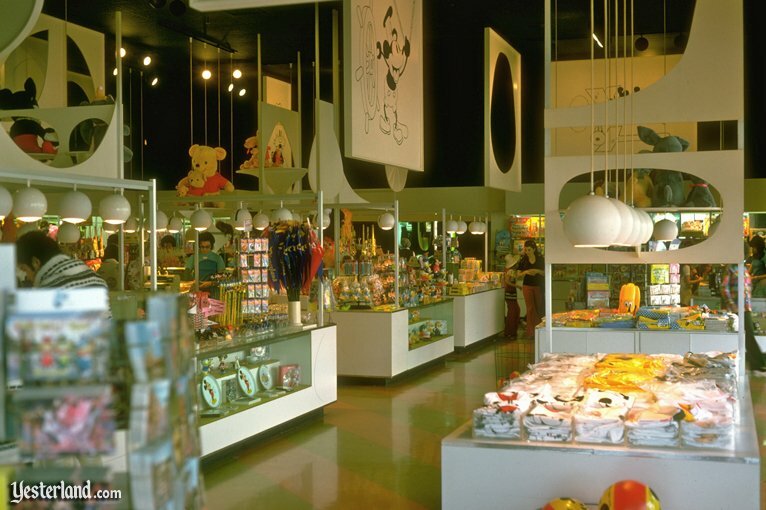 The Character Shop opened in 1967 as part of Disneylands New Tomorrowland. The space had previously been occupied by Fun Photos. 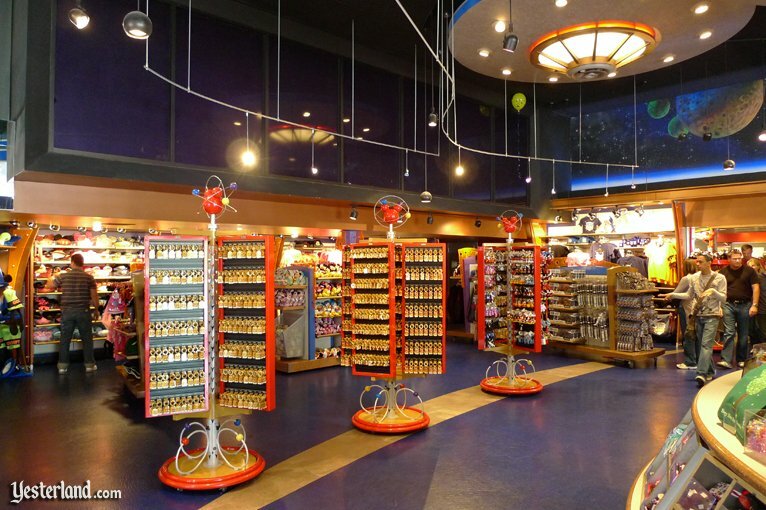 When Star Tours opened in 1987 adjacent to the Character Shop, the shop was re-themed as Star Traders. By the mid-1990s, it seemed that almost every shop in Disneyland had become a “character shop.” Today, in stores throughout the park, Disneyland relies heavily on Disney plush toys, current Disney movie-themed merchandise, and other goods featuring new and classic Disney characters. Photograph of Character Shop: 1974 by Werner Weiss. 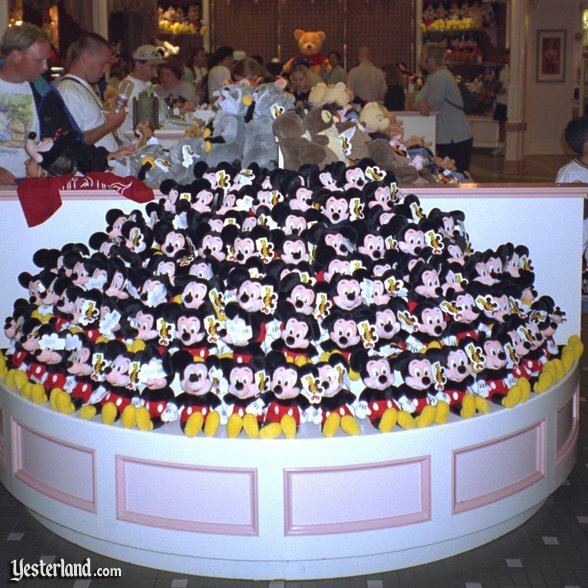 Photograph of plush display on Main Street: 1996 by Werner Weiss. Photograph of Star Traders: 2010 by Allen Huffman. 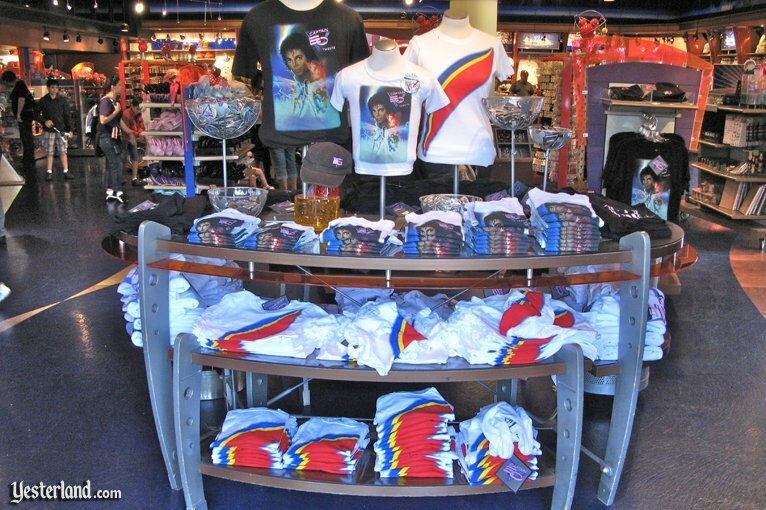 Photograph of Star Traders with Captain EO shirts: 2010 by Werner Weiss.